The process of installing a new operating system has become almost a ritual. Do you worship at the throne of backing everything up on a library of neatly labelled CDs, run the upgrade procedure and then gently reinstate your content? Or do you go hell-for-leather, wipe your whole life, boot your hard disks out the window and run a fresh installation of Windows, reinventing your computer like a digital Madonna? It's a pertinent question because Windows 7's release is imminent. 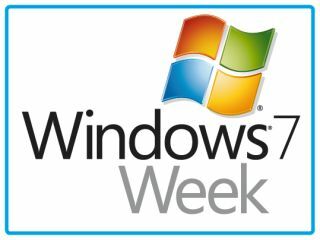 Windows 7 coming to prettify PCs the world over in six varieties, each with their own lovingly-crafted features. Although Windows 7 promises not to hog your system in the same way Vista did upon release, it's still an ideal time to upgrade your PC to a level of dazzling newness. With decent hardware coming in at incredibly low prices, and a lot of games running better than ever before, there's little excuse not to upgrade. Inevitably, this comes loaded with its own real-world problems, though. Transferring your digital archive to a new PC is never easy, and it's even harder when you stick a whole new operating system in the works. Thankfully, years of progress on Microsoft's part has made it a more simple procedure, but it's not without its complications. Copying your stuff is the still single biggest – and most time consuming – pain in the rear when it comes to getting started with a new operating system. After tinkering with myriad PCs, we've suffered our way through numerous installs. We've learnt the ins and outs, and what can (and generally will) go wrong. We've also learnt from our mistakes: forever scarred by the loss of valuable files. So, without further ado, let us venture forth together and step into the brave new (and surreally wallpapered) world of Microsoft Windows 7. After you've made the difficult, life-changing decision to upgrade to Windows 7, the first thing to consider is which version you're going to get. Windows 7 Starter, the cheapest of the bunch, is a stripped-down version designed specifically for netbooks. It's not listed on Microsoft's Windows 7 site, but it might be available from OEM suppliers for just a few of your precious pennies. It doesn't have as many customisation features as the full release and omits 64-bit support. However, if you can pick up a copy dirt cheap and jam it in your netbook, go for it – it'll be worth the investment. Windows 7 Home Premium is the version of Windows 7 for average users and this version is likely to suit you best. It's currently available for preorder from Amazon for just £64 and it includes the Aero desktop with its eye-melting translucent windows. There's more to it than that, though – under the hood it will run in 32-bit and 64-bit modes. So, if you're thinking about upgrading to a 64-bit installation then this will run happily, which comes as a stark contrast to Vista's various edition requirements. Windows 7 Home Premium has a few drawbacks, though. First off, it can only access 16GB of RAM. That said, we're quite happy running a maximum of 12GB and confidently expect that this won't become much of a limitation before the next iteration of Windows rolls around. Secondly, Home Premium doesn't support Windows XP Mode. So, if you've got access to loads of RAM and want to run a virtualised copy of XP, you'll want the Professional Edition, which will currently cost you £150. This also includes an Encrypting File System, so if you've got a decent laptop crammed full of sensitive documents, it might be worth considering. Topping all this off is Windows 7 Ultimate, which is the version that we've been running as a beta or release candidate. It's currently listed on Amazon at £160, so it's not a lot more expensive than Professional. It also adds a further five features, the most exciting being BitLocker drive encryption, which stops your drives being read by other PCs. Unix support and Virtual Private Networking are included in the package too, which could make it worth the extra tenner. Which Windows 7 version should you buy? It's worth pointing out that every retail version of Windows 7 includes all the flavours of the operating system, but your key tells your machine what to install. So, if you buy Home Premium and then find yourself inheriting a bucketload of RAM, you'll be able to purchase an upgrade key and install Ultimate from your original disc. Amazon has also said that the prices mentioned above will apply indefinitely, which means us Brits are getting a better deal than the Yanks for once. The system requirements for 32-bit Windows 7 are the same across the board: 1GB of RAM, 1GHz processor and 16GB of hard drive space. If you're running a 64-bit installation instead then those system requirements are upped to 2GB of RAM and 20GB of hard drive space. The Windows Aero translucency effects also need a 128MB graphics card with support for DirectX 9, which we expect you already have. If you don't, you can pick up a basic, rubbish one for less than £50. Unfortunately, those requirements mean running Windows 7 on a netbook is a different proposition to bunging it on your PC. Cheapo netbooks are usually supplied with just 512MB of RAM, which won't be enough to run Windows 7. Upgrading to 1GB is relatively cheap and painless, but we'd recommend getting 2GB for an optimum performance boost. From there, it's a matter of removing one of the backplates on your netbook, popping out whatever's lurking in there at the moment out and then sticking the new sticks of RAM in. In addition, SSDs have been increasingly finding their way into netbooks, but their advantage of being quick and robust is undone by the double whammy of the space hungry Windows 7 and the drives' capacity limitations. Some netbooks with SSDs – such as Dell's Mini 9 – only include 8GB drives, for example, which makes installing any version of Windows older than 2000 impractical and impossible. If you're desperate to get Windows 7 on one of these devices, you'll have to pluck the hard disk out and replace it. Then there's the whole issue of installing Windows 7 on machines that often don't have optical drives. This boils down to sticking the installation files on a bootable USB flash drive and running it from there. If you can't be bothered with this rigmarole, it might be worth waiting a few months: there are rumours of Microsoft releasing a Windows 7 USB drive. And if you're lucky enough to own a touchscreen PC, Windows 7 will work with it out of the box. We've seen more and more of these devices recently in the form of Asus' forthcoming T91 netbook and MSI's luscious WindTop. Windows 7 has been engineered from the ground up to work with pokable screens and it will automatically chunkify your desktop when it detects a USB touchscreen connection.